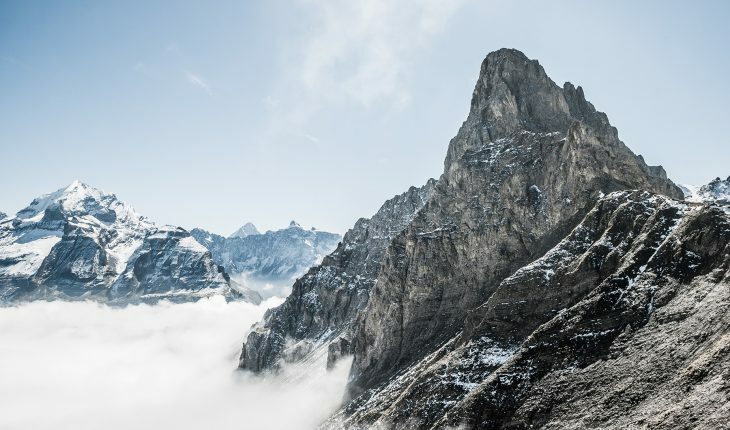 This chapter of the confession brings us to a careful consideration of the eternal standards of righteousness by which God rules and judges the world (Romans 2:5-8, 12, 13). 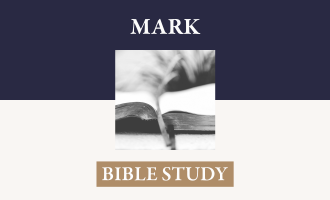 The law of Scripture is a revelation of the divine nature itself as it pertains to the duties of the creature toward his Creator and toward his fellow image-bearers. 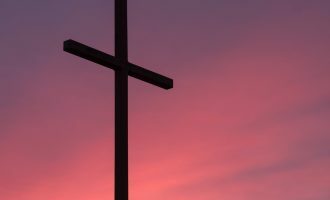 Unless we see how law and gospel are perfectly congruent, we will not grasp what Paul meant when he said “Do we then overthrow the law by this faith? By no means! On the contrary, we uphold the law” (Romans 3:31). Nor will we get it when Paul closes a careful argument about faith and “works of the law” by saying, “I do not nullify the grace of God, for if righteousness were through the law, then Christ died for no purpose” (Galatians 2:21). And yet again, apart from a robust vision of the complementarity of law and gospel can we see the beauty and power of Paul’s conclusion to his massive treatment of law, grace, faith, propitiation, and righteousness in saying, “This was to show God’s righteousness, because in his forbearance he had passed over former sins. It was to show his righteousness at the present time, so that he might be just and the justifier of the one who has faith in Jesus” (Romans 3:25, 26). This issue contains five articles. 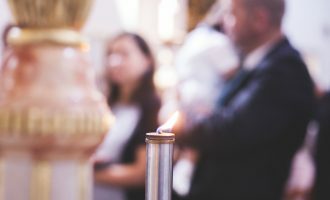 Samuel Renihan, a pastor in California, introduces us to paragraphs 1 and 2 with a careful examination, not only of the theology of these paragraphs, but a critical comparison of them to the same paragraphs in sister confessions. He also looks at the relation of this chapter to other chapters in the confession. My article, (Tom Nettles) expands the theological ideas introduced by Samuel. Timon Cline, a law student at Rutgers Law School and a MA student at Westminster Theological Seminary, gives an insightful discussion of ideas of natural law, introduced in the first two articles. He shows that this theological idea is both implicit and explicit in this confession and shows that the Particular Baptists were in theological continuity on this issue with the Reformers, the formative scholastic theologians, and going back to Augustine. Jon English Lee, an Executive Pastor in Montgomery, AL, gives an exposition of paragraphs 3-5 and provides valuable look at the trifold division of the Mosaic Law and how that helps us understand the abiding nature of moral law. Fred Malone, Pastor Emeritus at First Baptist Church, Clinton, LA, takes on paragraphs 6 and 7 and contrasts the law as a covenant of works with its continued use as a rule of life. How its continued usefulness as a rule of life heightens the reality of the operations of God’s grace toward believers is a particularly insightful aspect of his exposition. 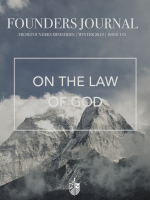 We pray that this issue of the Founders Journal will be of abiding usefulness and provide some rich moments of reflection on the power, beauty, righteousness, justice, and grace given us in the death of the Lord Jesus Christ and the consequent proclamation of good news, saving news, transforming news to corrupt and condemned sinners.